The MeiGray Group Game-Worn Jersey Authentication Program is proud to offer fans and collectors across the globe the opportunity to own a piece of history ... a puck used to score a goal by Zach Aston-Reese of the Pittsburgh Penguins during the 2018-19 National Hockey League season. This is the puck that was used by Zach Aston-Reese to score the 12th goal of his NHL career. 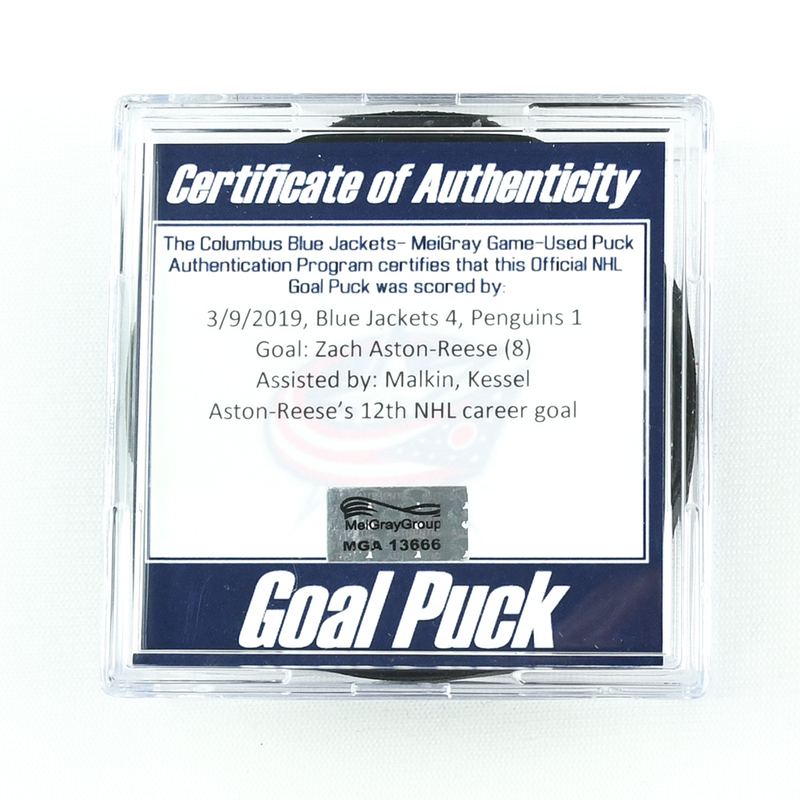 The goal, Aston-Reese's 8th of the season, was scored at 6:39 of the second period and was assisted by Evgeni Malkin and Phil Kessel. 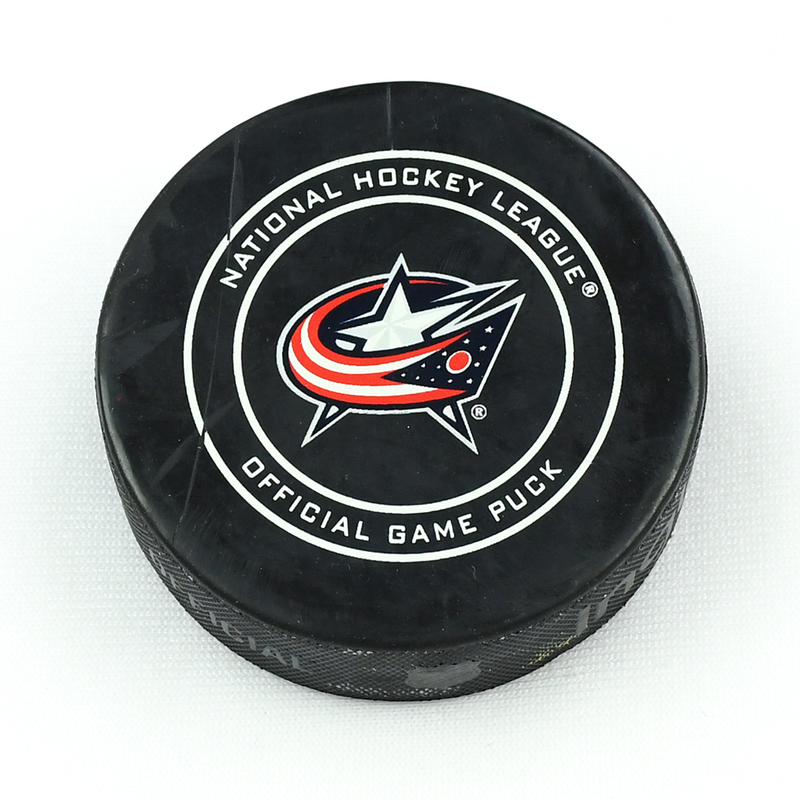 The Columbus Blue Jackets defeated the Pittsburgh Penguins, 4-1, on March 9, 2019 at Nationwide Arena in Columbus, OH. 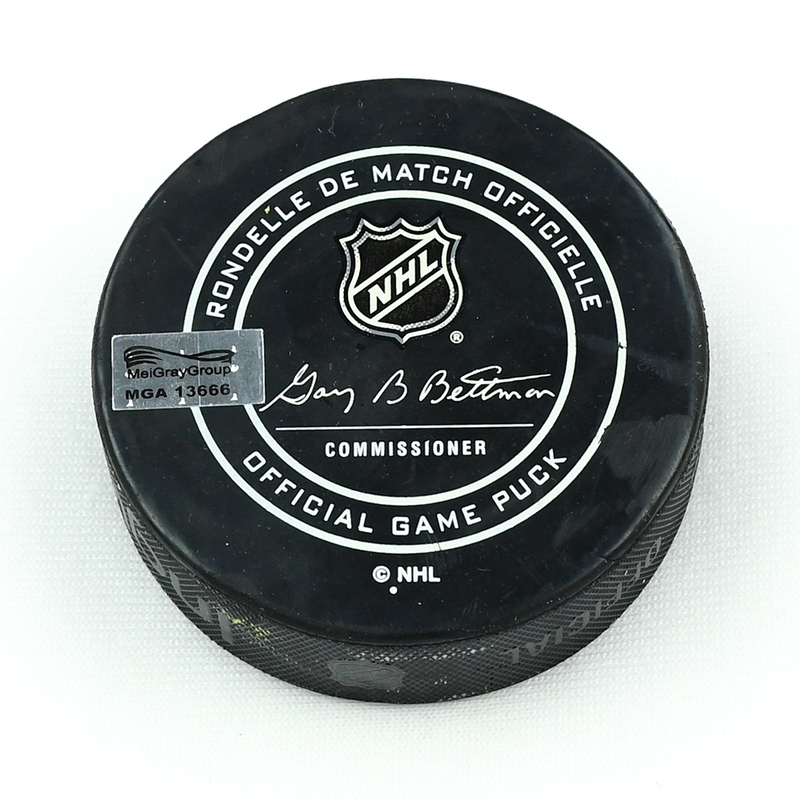 This puck is registered into the MGG Game-Worn Jersey Authentication Program as number MGA13666.